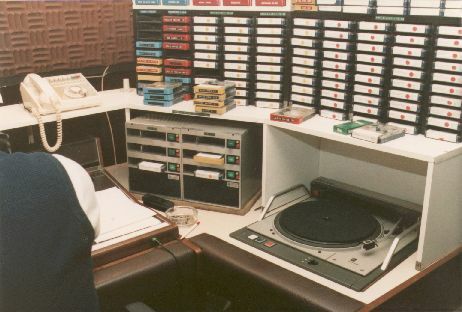 NOVA PHOTOS FROM 1983: Below are some images taken in 1983 from Radio Nova in Dublin, during a visit from the AUK team to their Herbert Street HQ. 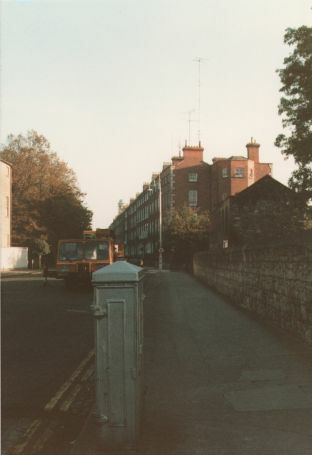 The view up Herbert Street in early November 1983. The Nova aerials can just about be made out on the roof. 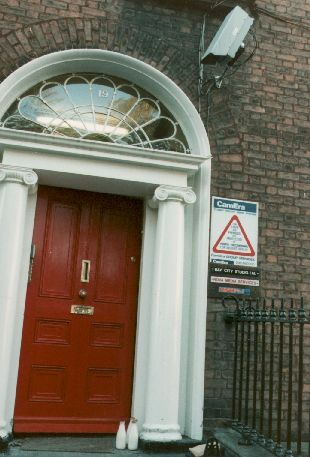 Right: The door at 19 Herbert Street, with closed circuit TV camera. 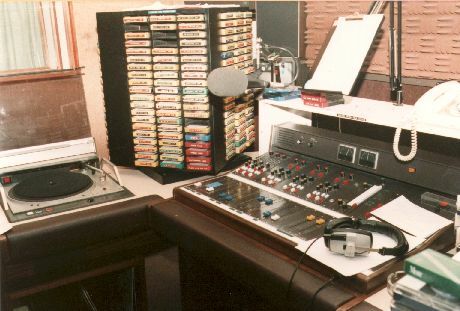 At the time, this was the home of both radio Nova, and KISS FM, as well as Bay City Studios. 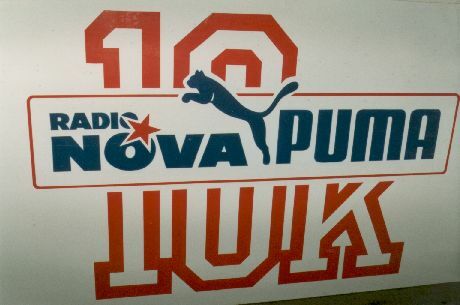 A big board inside the studios advertising the Puma 10k race. 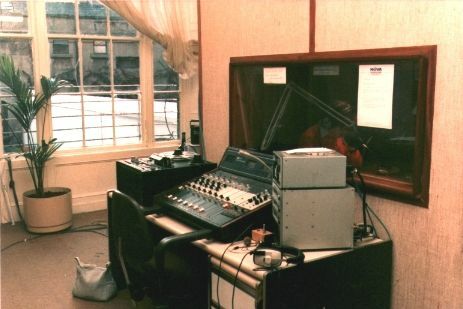 The news booth at Radio Nova. 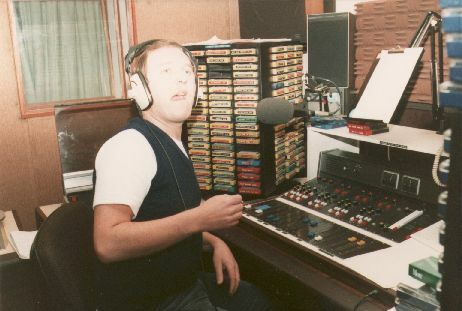 This was situated on the ground floor of 19 Herbert Street. 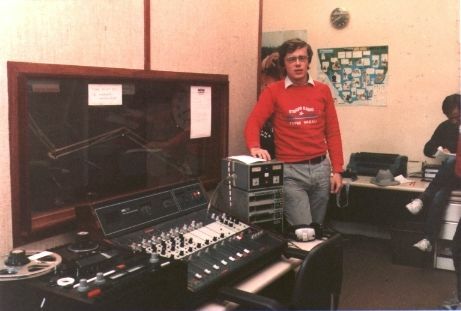 The News booth and mixer with news reader David Malone looking on. 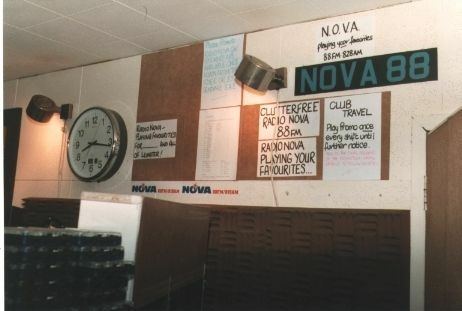 The wall of the Radio Nova studio with several of the phrases used on the station. 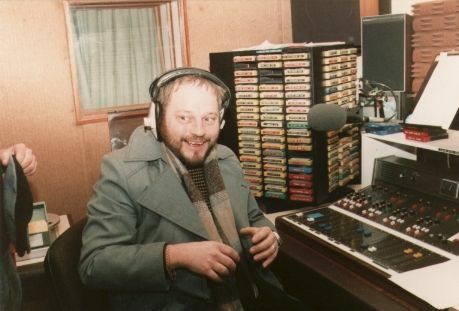 Peter Madison sneaks into the Nova studio for a quick 'anorak' photograph!